The theme of January’s kids art competition is “World of one colour”. The closing date for entries is 8 February 2010. 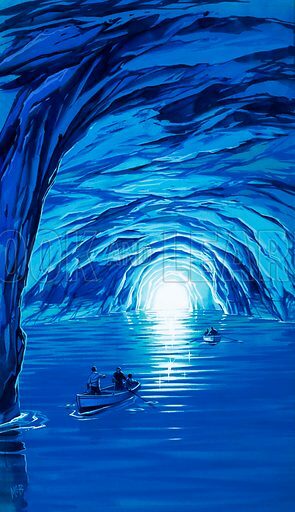 Here, by way of inspiration, is a picture by Angus McBride of the famous Blue Grotto in Capri.